Ismael Otero was born in the the lower East Side of Manhattan, New York. He moved to Jersey City, New Jersey at the age of 10, where he currently resides. Ismael enjoyed break dancing and listening to Hip-Hop music. He took his first salsa/mambo class under the direction of Luis Zegarra, where he later on became a member of Fuerza Latina Dance Group. Over the years he has had the opportunity to perform and teach at various Congresses World-Wide from the year 1998 to present and ranging from New York to as far as Hong Kong. Ismael has been featured in various music videos, movies, performing with various artists, and participated in many competitions. Many of those competitions, he has won. The Caribbean Soul Dance Company was founded in 1997. Ismael Otero aka "The Million Moves Man" wanted to show everyone his unique style and bring the best out of his dancers. Together they have travelled all over the world to give everybody a taste of their special Caribbean Soul. Using the creative dance form of the streets, combined with technique and a passion for the music, Ismael Otero created Caribbean Soul, known around the world as one of most exhilerating salsa dance groups who have maintained their place at the top of the game for more than 8 years. Dancers in his team have all been trained extensively to develop their individual style whilst setting a high performance standard. They are original, exciting, funny, and complex, but most of all "unique". Ismael himself is always modest though he is a salsa icon. 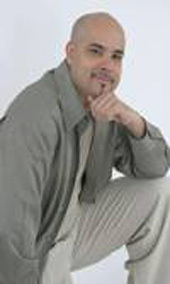 He is one of the most sincere, down to earth, humorous, and genuine “Salsa stars” that you will ever come across. He gets along with everyone in the salsa scene probably as he is confident enough not to need to compete with them and a reason why he gets invited to more congresses probably than anyone else. He is innovative and daring in his approach to salsa and the influence of break-dancing and hip-hop are evident in his dancing. He is not constrained by rules and likes to dance by feeling not thinking which is why his partners find him so much fun! Some world's best dancers were made so by him - names such as Griselle Ponce, Yesenia Peralta, Candy Mena, and more.